The Goodrich Way: Doesn't everyone celebrate Halloween? In fourth grade we have stepped outside of our communities to see how different cultures celebrate Halloween. Celebrations tell a lot about a culture and community. We have spent the past week looking at how Halloween is celebrated around the world. 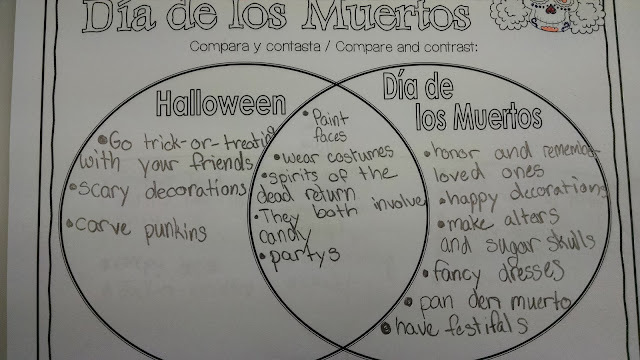 The students were surprised to learn that not everyone celebrates Halloween, or at least not in the same way we do! We first looked at how the American celebrations of Halloween began. Then we transitioned to see how different countries such as Great Britain, France, Australia and Mexico celebrate Halloween. It was amazing to see the kids so engaged and surprised by the different traditions! We found that many countries do not celebrate Halloween in the same way that we do in America. The majority of the celebrations are based on All Saint's Day or All Soul's Day and focus more on celebrating their loved ones who have passed away. An example of this is el día de los muertos, a tradition widely celebrated by the Mexican population. El día de los muertos is celebrated on November 1st and 2nd. The purpose of the celebration is to honor and remember loved ones that have died. There are many symbols and activities associated with these days but we only focused on a few. Many families create ofrendas (altars) to welcome the souls of the departed that are returning to visit their loved ones. These ofrendas often contain food, pictures, flowers, and more. 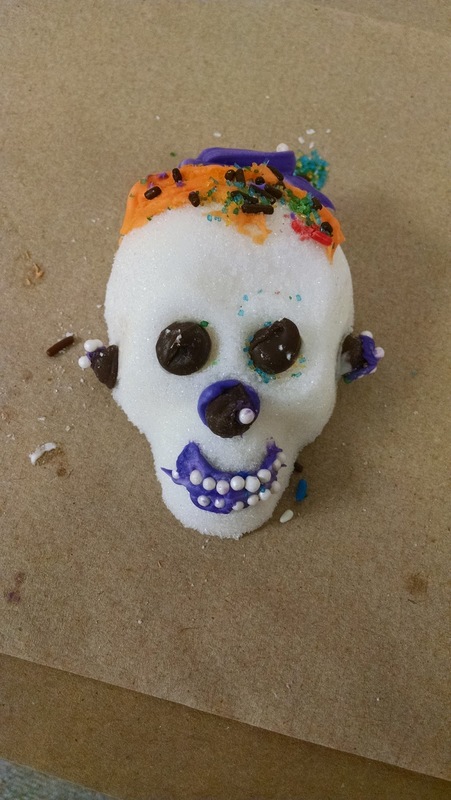 One famous food that is made for the departed is sugar skulls. 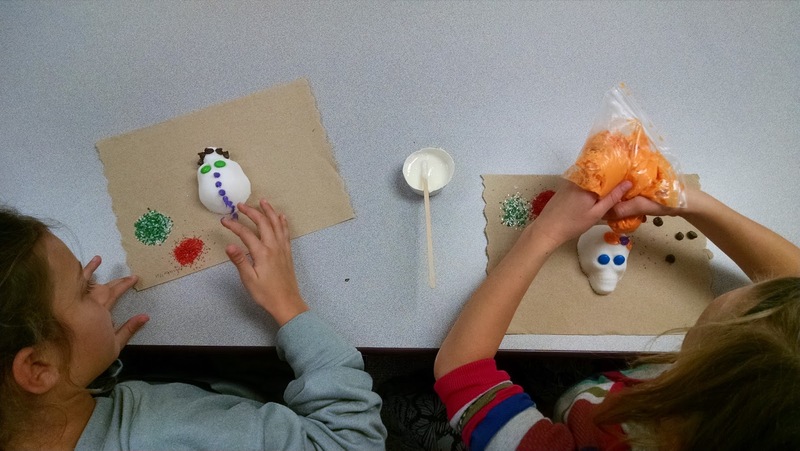 Today we stepped into the Mexican culture and created sugar skulls while remembering our loved ones that have passed away. The decorations on the sugar skulls represent those likes and interests of the departed. 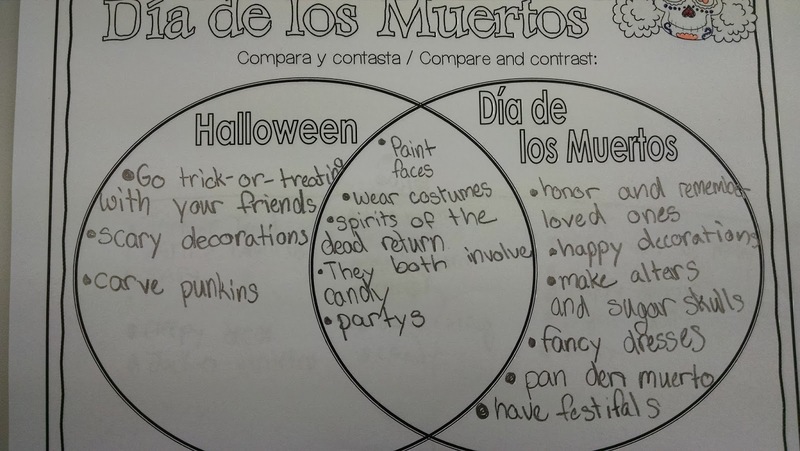 We also took the time to compare and contrast our Halloween celebrations with the celebrations during el día de los muertos. Here are the results! I am very passionate about sharing cultural awareness with my students and I believe that seeing things outside of their own traditions and celebrations help them get a better understanding of the world around them. It is so easy to get wrapped up in our own culture, but what some do not realize is that the classmates sitting next to them may have a completely different cultural background and story than they do. We were able to share so many different traditions that we celebrate with our families. Cultural awareness not only opens the students' eyes to different perspectives but it gives them a new respect for their classmates and other citizens in our community. Here is a snapshot of Google from today! These are a papeles picados, another piece that you would find on the altars made for loved ones. Even Google is sharing cultural awareness with the world!